Our research focuses on the development of immunotherapies for the treatment of cancer, with an emphasis on the combination of adoptive T cell therapy (ACT) and oncolytic virus-based vaccines (OV). By engineering oncolytic viruses to express tumor antigens (termed as oncolytic vaccines), we have demonstrated that oncolytic vaccines could effectively engage and expand tumor-specific central memory T cells (TCM) while retaining all of their beneficial oncolytic properties. 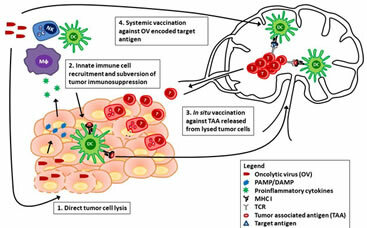 Thus, we believe that combining ACT with OV vaccines can simultaneously stimulate T cell expansion, recruit T cells into the tumor, overcome tumor-mediated immunosuppression and broaden spectrum of T cell specificity. This combination platform is now in the early stages of a phase I clinical trial. Our current projects include studies on (1) the mechanisms that program T cell differentiation and proliferation, including natural T cells and genetically engineered TCR and CAR T cells; (2) biological properties of different oncolytic viruses (e.g. rhabdoviruses, poxviruses and HSV) that influence T cell activities in vivo; (3) the development of dual specific T cells that can broaden antigen-specific T cell responses and are expandable by OV vaccines, (4) the impact of HDAC inhibition and type I IFN signalling on this combination therapy and its on-target/off-tumor toxicity. Dr. Wan currently teaches various courses in advanced immunology at both the undergraduate and graduate levels. At the undergraduate level, he acts as course coordinator for Advanced Immunology (HTH SCI 4II3). At the graduate level, Dr. Wan teaches Advanced Immunobiology I (MS715) and Vaccine Immunology (MS717).